It happens often. Concertgoers bounce from stage to stage at a music festival and suddenly realize they can’t find their friends. What now? SquadUP, an innovative event management and ticketing platform that boasts best-in-class applications across desktop Web, iOS, and Android, has built a unique set of features to help solve this problem. SquadUP’s free apps for iOS and Android allow event attendees to do more than just access their tickets and view event-specific information. These mobile apps are highly engaging and actually fun to use. The unique Social Gallery and event chat functionalities are game changers. The Social Gallery uses the designated event-specific hashtag to gather relevant content from Instagram, Facebook, and Twitter, letting guests digest everything going on at an event in one place instead of scouring individual social media platforms. Using the event chat, guests can send messages, pictures, and videos and share their location. The app is robust enough to appeal to professional organizers and cool enough for Millennials. Additionally, hosts can get an honest and accurate evaluation of what guests are saying about their event, where they’re spending their time and money, and what inspires the most sharing and engagement. That is powerful information. If you take a look at the III Points music festival in Miami, recently ticketed by SquadUP, you’ll see an explosion in mobile app engagement. People were meeting up with friends, finding out which stages and food trucks to explore, following up on missed connections, and sharing their favorite moments at the event. Organizers were able to get a unique crowd snapshot, make announcements, and engage with attendees when appropriate. Ticket accessibility in a mobile app is one thing, but building social event communities organically is truly significant. Event planners need to be organized and efficient. That means having everything in one place from event creation to promotion and management. We’ve seen other event planning platforms struggle to balance the bells and whistles guests want with the meat and potatoes event organizers need. SquadUP addresses all of the problems that competitors have been unable to solve by taking a mobile-first, highly social approach to the space. The platform is currently the only one that lets hosts manage the entire event planning process right from their phones. 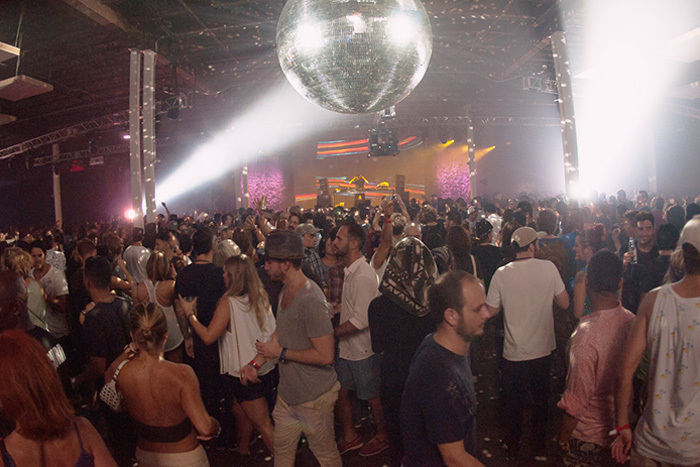 And SquadUP applies to more than just music festivals, working well for all event categories. 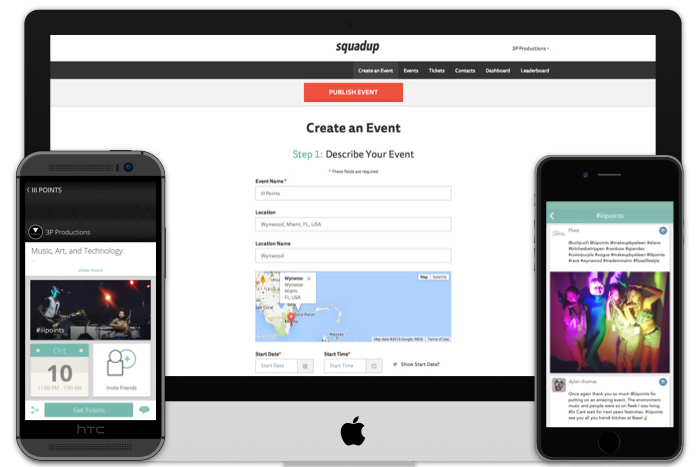 Give SquadUP a try for your next conference, fund-raiser, or any other type of event.